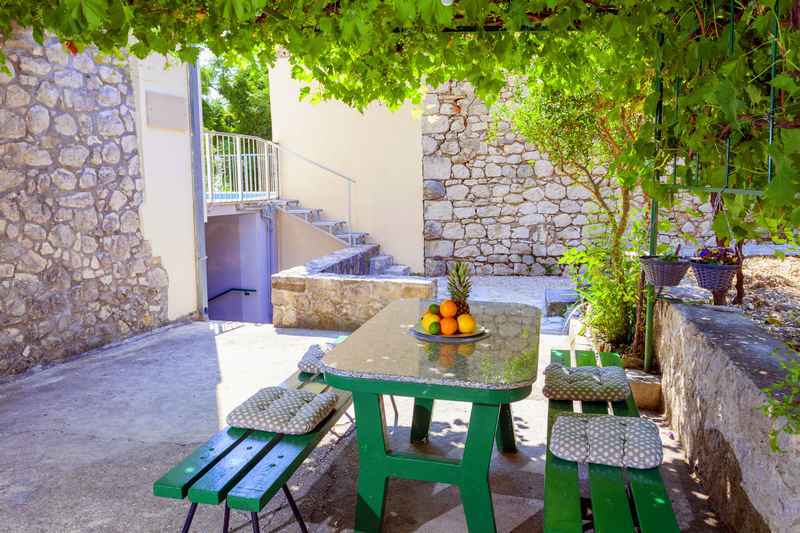 Villa Grube ( za 4 + 2 osobe) 128 m²: House with pool for rent is located in the upper Tucepi in the hamlet Podpec, in a quiet hamlet above Tucepi at the foot of a mountain slope, surrounded by olive groves, pine trees and Mediterranean plants. 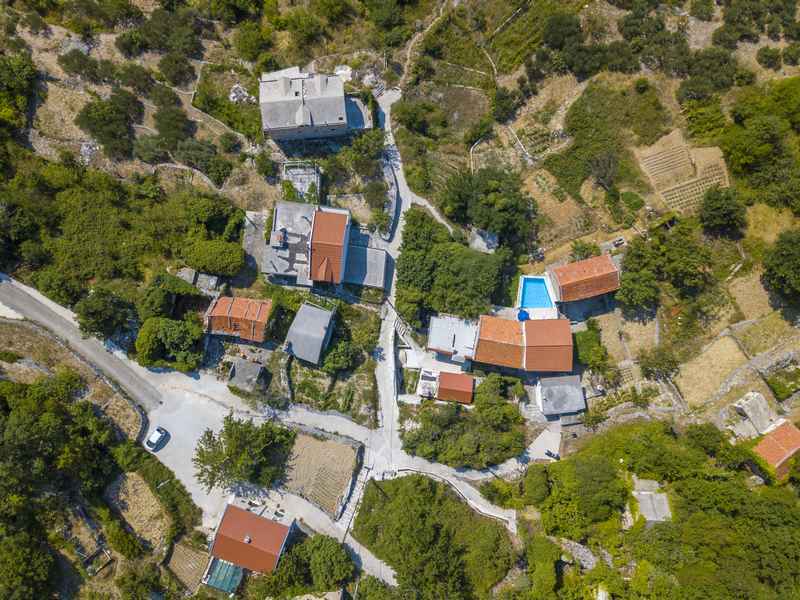 4 km away from the city and the sea and all the city attractions, but at the same time, thanks to its location and the beautiful sun-drenched position with garden, surrounded by beautiful scenery provides privacy and a quiet holiday. 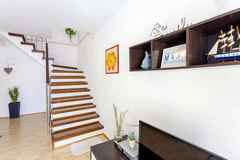 The house consists of two floors of 64 m², has 2 double bedrooms + living room + hall + kitchen + bathroom / toilet. 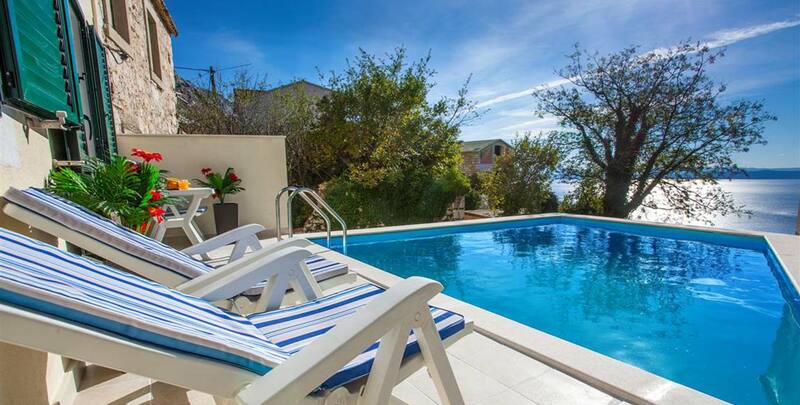 + Terrace and pool. 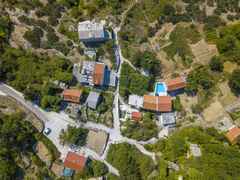 The house has a private swimming pool 6 x 4 m, depth 1.5 m. From the balcony, swimming pool and terrace offers a beautiful view of the sea and islands of Brac and Hvar, on the other hand is the view of the mountain Biokovo. 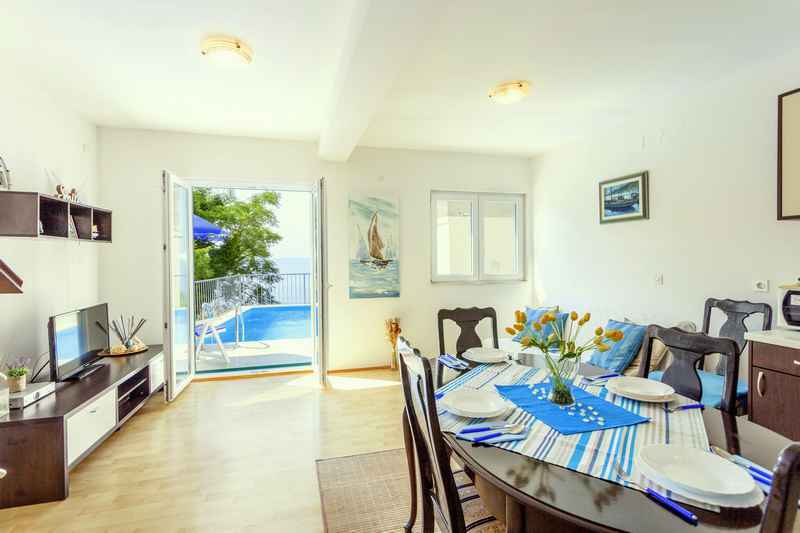 If you decide to spend your holiday in Croatia and Makarska hope you choose one of our villas and we are looking forward to your visit. - Living room: 50 m², 50 m², sofa bed for 2 persons 200x140 cm + satellite TV + WiFi - Internet + air conditioning + kitchen + table + chairs and access to the pool from the living room. 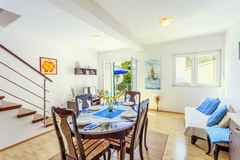 - Kitchen: Open kitchen to the living room, stove with oven (4 hotplates), refrigerator with freezer, electric kettle. 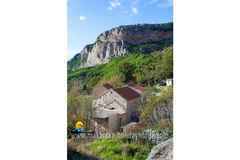 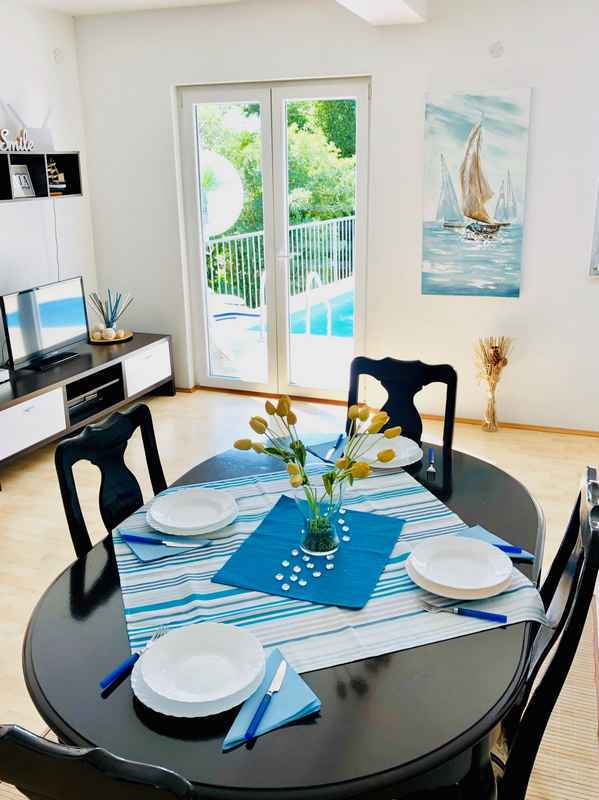 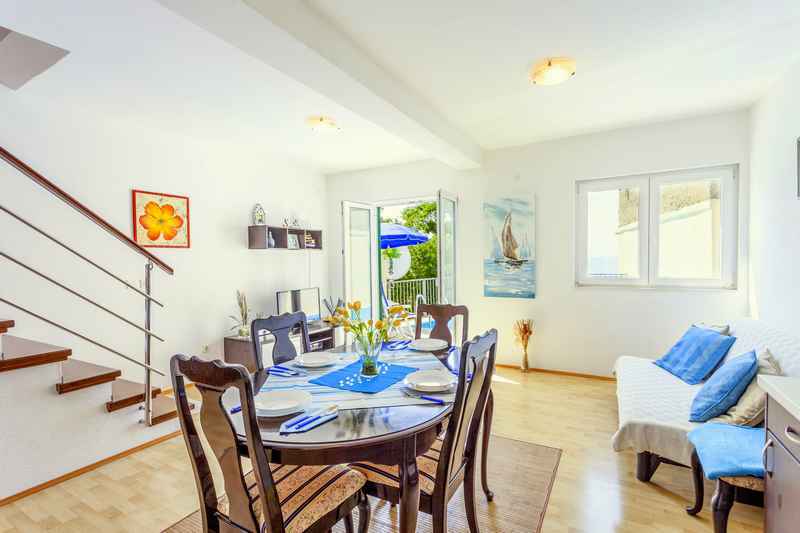 - Terrace: 30 m² with pool + garden furniture + sea view. 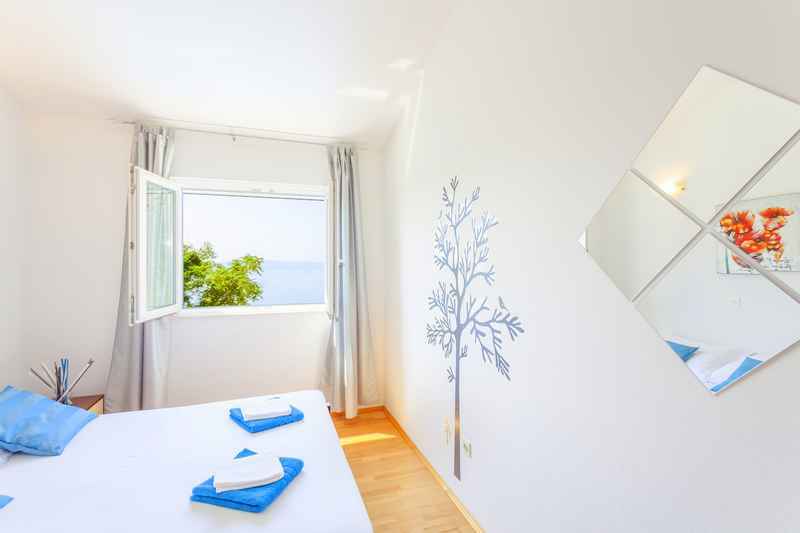 - Bedroom 1: Double bedroom 16 m² with double bed 200x180 cm + wardrobe, sea view. 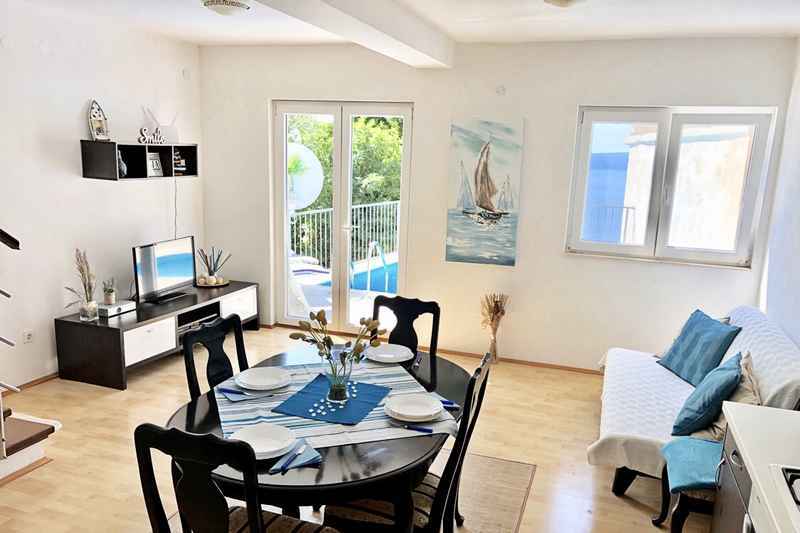 - Bedroom 2: Double bedroom 16 m² with double bed 200x180 cm + wardrobe, sea view. 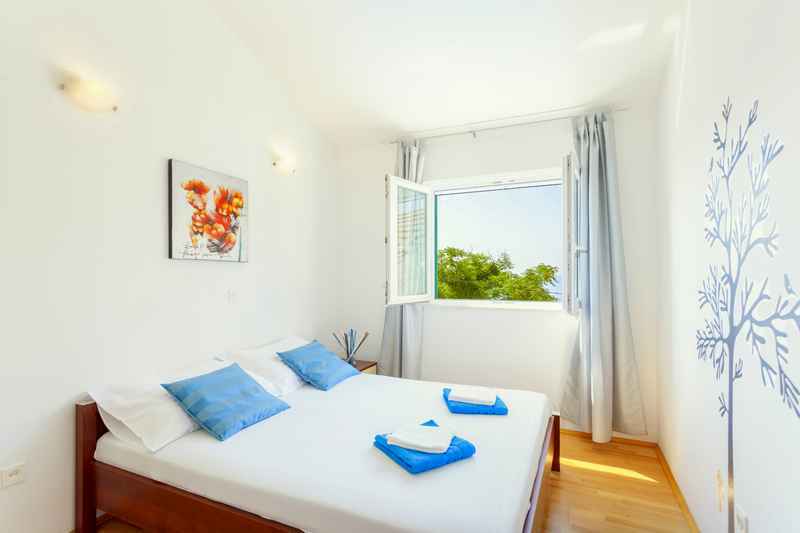 Air conditioning is located on the corridor for two rooms. 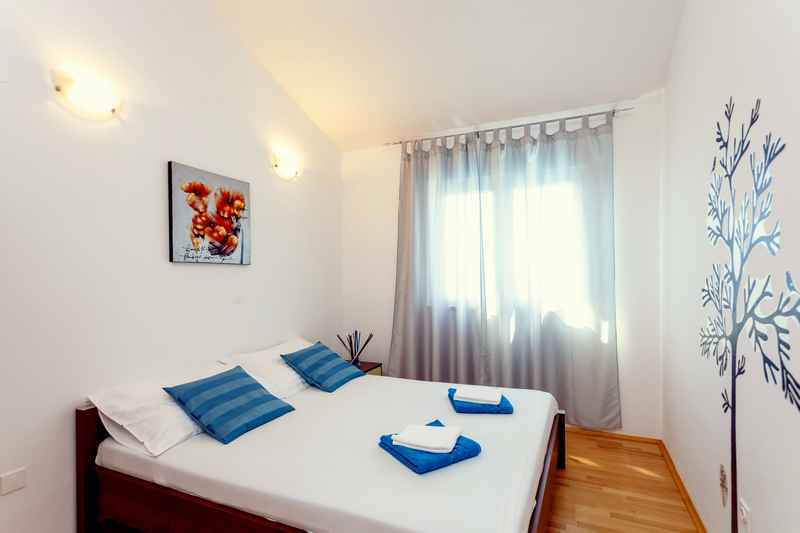 za obe sobe. 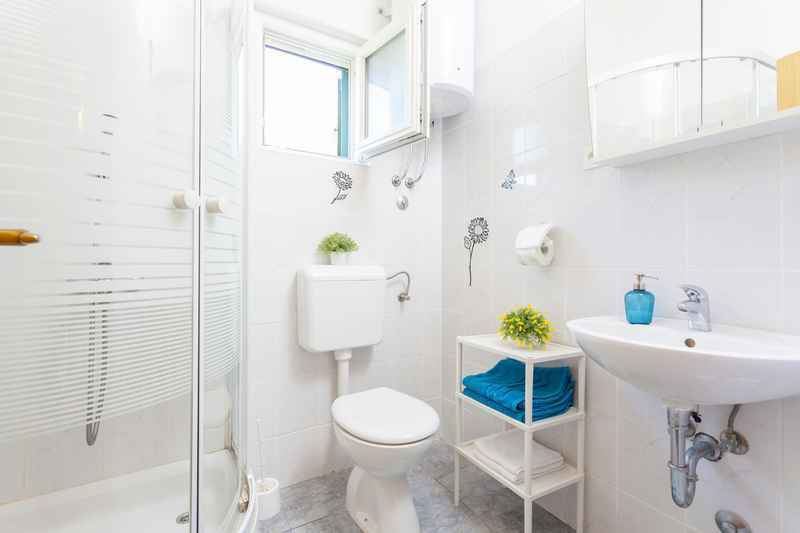 - Bathroom: Shower cabin, toilet, hairdryer. 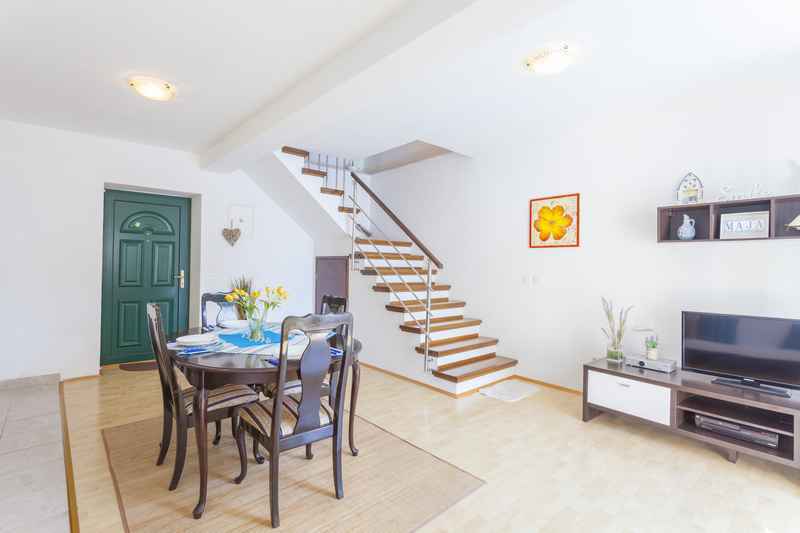 Parking away from the house 30 m.
THE PRICE INCLUDES: Tourist tax, Air conditioning, Internet, Bed linen, Towels, Toiletries, Parking, Cleaning products and Final cleaning.